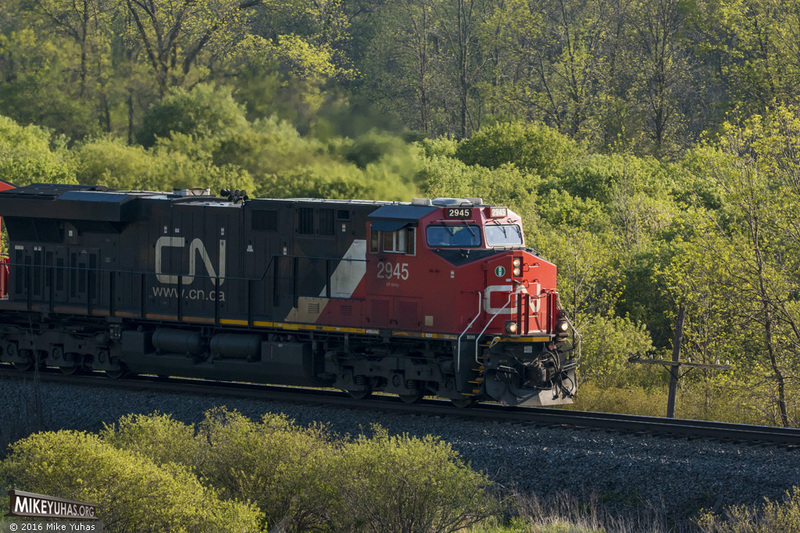 CN ES44AC 2945 leads a massive M34641-21 train south. Train details: CN 2945, CN 3053, CN 3061 (DP); 136 loads, 22 empties; 18,002 tons; 9,593 feet. Train is approaching Theresa, where the crew will set out a bad-order car and become slightly less massive.